The legendary Literary Death Match makes its Manchester debut. Presented by LDM, Bad Language and Picador, you’ll witness literature, spectacle, tipsiness and hilarity in droves. Four writers read their own work for seven minutes or less, and are then judged by three all-star judges. Two finalists are chosen to compete in the Literary Death Match finale, a vaguely-literary game to decide the ultimate winner. 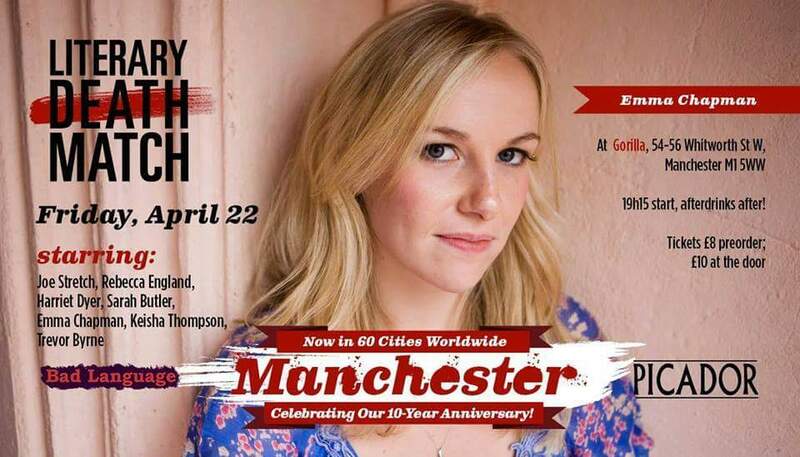 Performance: Rebecca England, writer, actor and cast member in Murder, Inc.
Friday April 22nd, Gorilla Manchester. We start at 7.15pm. Tickets are £8 and can be bought here.